From NECA we introduce this assortment of Daniel, Mr. Miyagi and Johnny action figures based on characters from the '80s iconic movie Karate Kid. 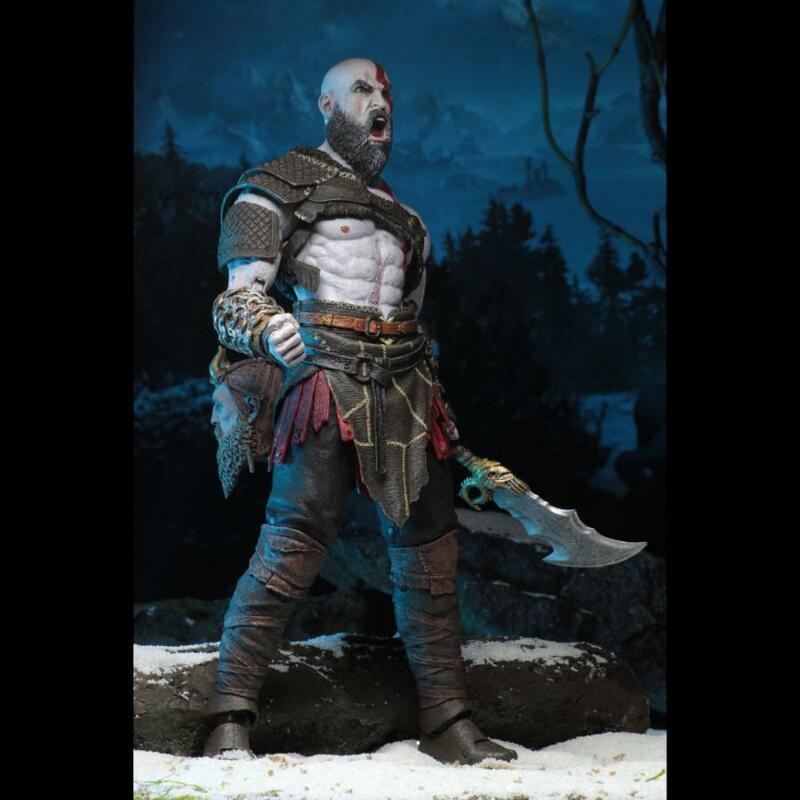 The bestselling God of War video games have now spanned over a decade, but for Kratos this is a new beginning. 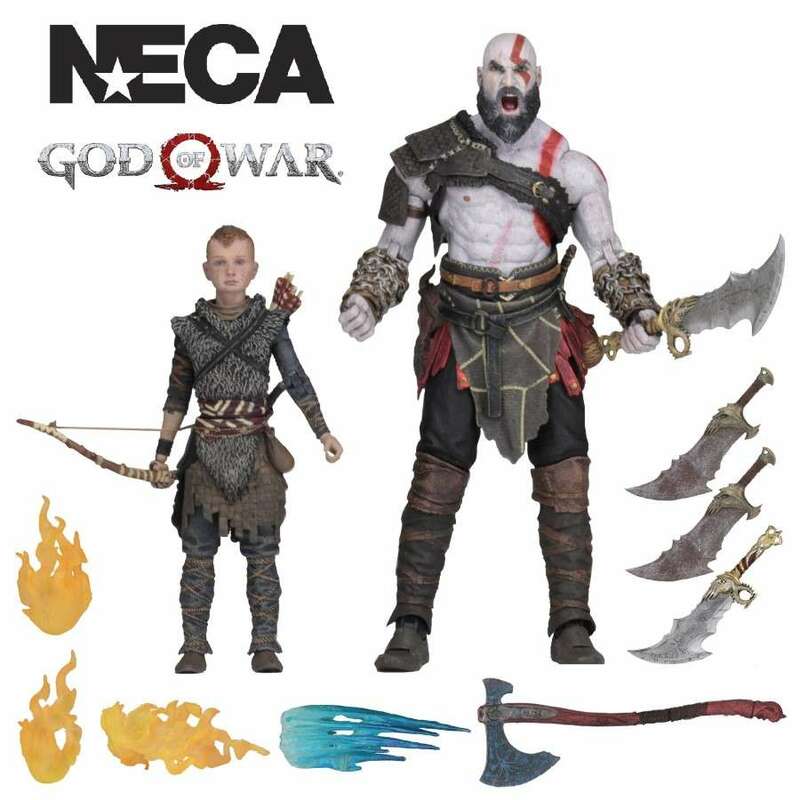 NECA brings you this Ultimate 7” scale action figure 2-pack, which includes both Kratos and his son Atreus. 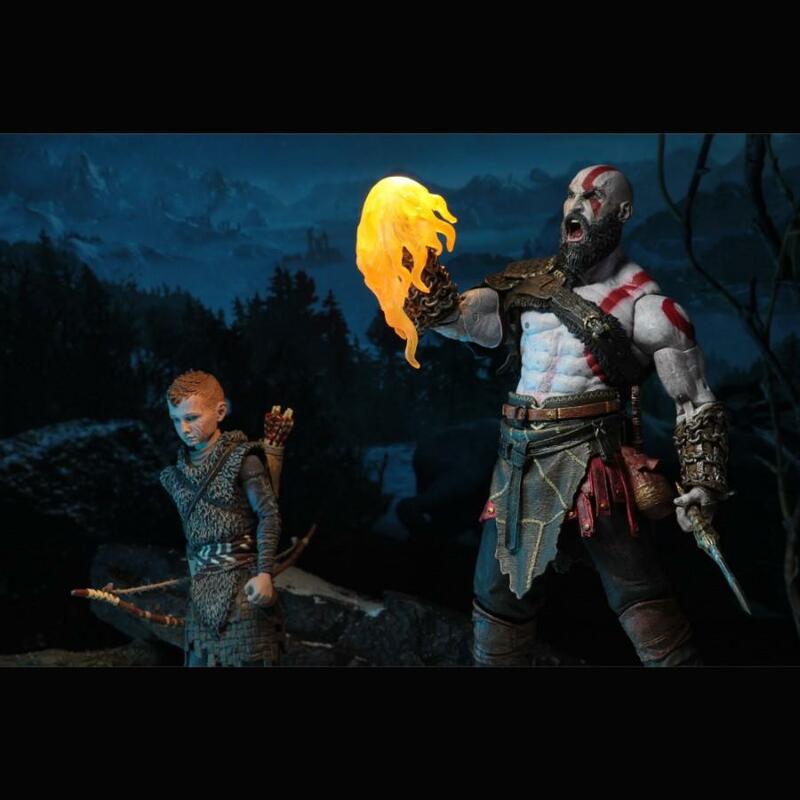 Far behind Kratos is his vengeance against the gods of Olympus and he now lives in a harsh and unforgiving world where Norse Gods and monsters roam the lands so he has to fight to stay alive but also has to teach his son Atreus to do the same. 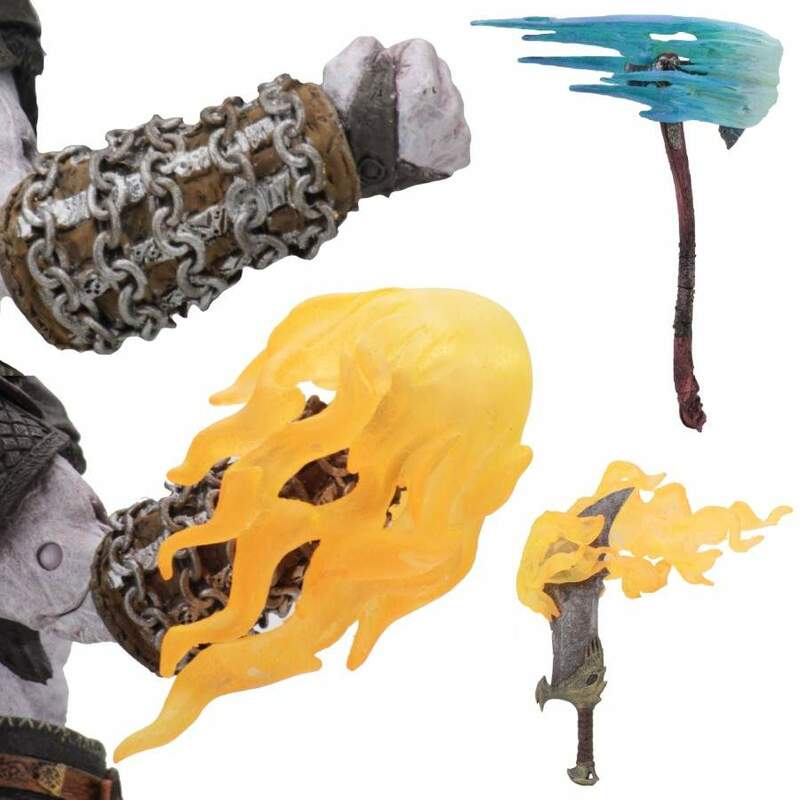 Kratos has 36 points of articulation, features a new head sculpt with an aggressive facial expression and comes with many additional extras including a new Mimir head on his right hip, new gauntlets, new hands, a new collapsed shield and new blades plus new fire and frost effects for both his weapons and his hands. 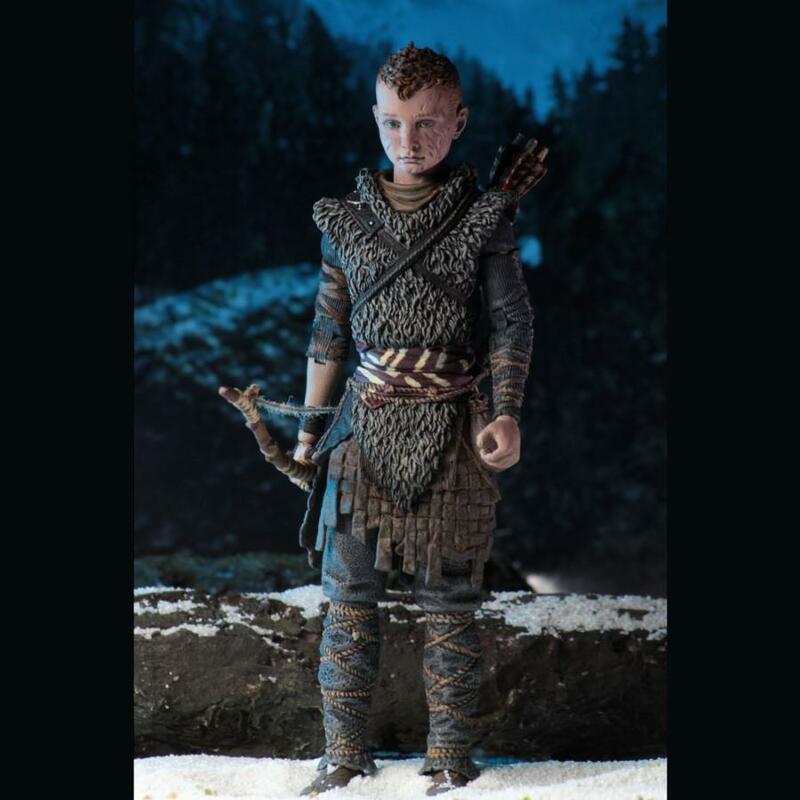 Atreus is a new and additional figure with over 25 points of articulation and he comes complete with a bow and arrows. 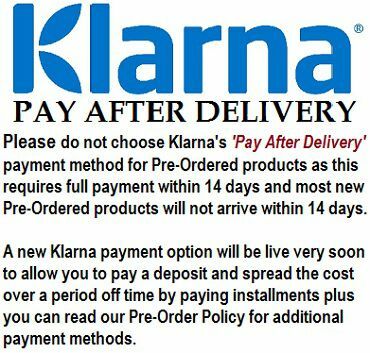 This complete action figure 2 pack plus the accessories are packaged in a display-friendly deluxe window box with opening flap.